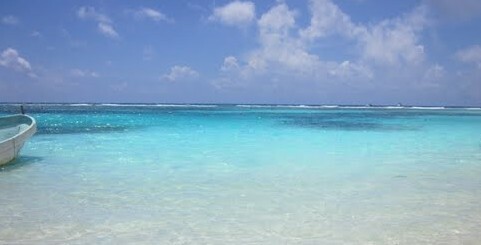 ← Rainy Day Cruise Stop In Costa Maya? No Problema! Good Government in Action. Viva Mexico! Today is a Spanish lesson and the word of the day is, “manana”. Most gringos come here thinking the word means tomorrow. Look it up in the dictionary and it will say just that. However, what you quickly learn is that when a Mexican says “manana” to a gringo, he is not saying I’ll do that tomorrow, he just means “not today”. You figure that out the next day when you wait all day and he doesn’t show. Having said that, the other day, I noticed a work crew patching a pothole in the street behind my driveway that was going to be fixed “manana” for several years now. Finally,”manana” had arrived. I hated that hole too, because it was in the perfect spot so that every time I backed out, I had to hit it. Over the years, as I waited for “manana”, every couple of months, I would take a couple buckets of gravel out and fill the hole, hoping all the while, that someday, the government would send a road crew and fix that hole, once and for all. That day finally came this week and I again reminded myself of the ex-pats most needed quality to live in Mexico; patience. Things get done here, but because we have a small government with small budgets, things get done very slow. Painfully slow sometimes. A pothole at the end of a gringo’s driveway is very low on the priority list of a financially strapped, tiny government. However, when it is showtime here, and the government is really needed, you should see how they work. I am floored at the relief effort after a hurricane for example, especially compared to the performance of the giant, bureaucratic, over regulated US government’s FEMA, which spends more time spray painting arrows, taking pictures and arguing over who is going to pay for the repair, than Mexico spends just making the repair. Check this old blog from a few years ago comparing the clean-up of Hurricane Ernesto to those in the US. 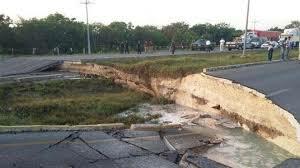 A recent road collapse in Cancun is another example of when it is emergency time for the government to step up, they do so quite well here in Mexico. 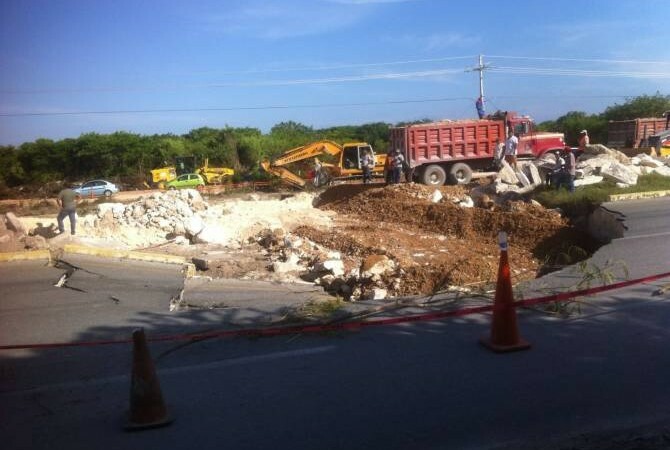 A couple of weeks ago, a sinkhole suddenly appeared in the center of the main highway connecting Cancun to the remainder of the Riviera Maya, the Playa Del Carmen, to Tulum area. What that really meant was that people trying to get to the Riviera Maya area to spend money, couldn’t. Unacceptable!! For every hour tourist were stuck in their cars on the highway, it was an hour of lost revenue for Mexico. The government bean counters quickly got out their calculators and the after a few minutes said, “holy guacamole, we need to do something and do it quick.” Since tourism is Mexico’s second largest industry, it was showtime for the government! 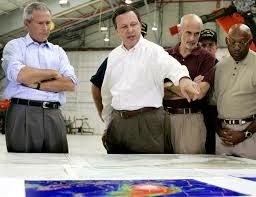 Within the first couple hours, the Governor and his staff were all over the site and the plan to repair was formulated. SENTRA, the department that oversees road work had engineers there even before. Geologist were part of that team and the cause, subterranean water had been diverted and washed out the area under the road, was quickly determined. The same subterranean water system that produces the cenotes we all love to swim, snorkel and scuba in, also can occasionally cause these sort of problems. 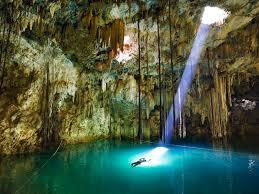 So what if you get an occasional sinkhole if you can have cenotes like these. The thing is that this was some good government in action. The Governor made sure the money was there and the team was together, and the team quickly came up with the solution. No painting arrows and taking photos so that blame can be laid and the cost of the repair shifted to someone else. No squabbling among government agencies as to whether the repair is municipal, state, federal, private, or whatever. Just get the damn road fixed, so we can start selling margaritas again. And so it was! Eight days and about $900,000 US later, the job is done. A side road was built to allow traffic to flow, drains were installed, proper materials were brought in and compacted, and the road was re-paved. Stripes were painted, orange cones removed and once again, the traffic and the margaritas flowed full speed ahead. The photo above shows the temporary road, as well as the new highway repaired. That is an example of good government in action. In the US, 8 days and $900,000 will usually get you, a feasibility study, a preliminary this and that study, a couple law suits, a set of bidding requirements and some photos of politicians with their shirt sleeves rolled up and shiny new hard hats on their goofy looking heads. That, is an example of bad government in action. And that is my point. People in the US tend to hate government and think all they can do is screw things up. I of course disagree and counter that, not all government is bad government. Don’t think they are one in the same. The politicians, and the little boxes their friends all own that you are glued to each night, keep pointing out bad government as why you should bag one guy, vote for another and generally do things that keep the corporations rich. Lost in the crap slinging fest that typically follows (politics) is that a lot of what the government does, they often, not always, do very well. You guys have great highways, well-funded schools, top emergency services like firefighters, paramedics and police, public parks, libraries, state and national parks, public recreation facilities, subsidized utilities, government mortgage and loan programs and on and on. Cherry pick what is overly funded and poorly run and yes, you can find plenty to complain about. Just tune to the little box at night and they’ll give you all you can stand. Turn it on dumb, turn it off dumber! I tell all who will listen, I am very lucky to live in two very wonderful countries. They are very different, and each give me things the other can’t, and for that, I am very grateful to both. One is a very wealthy country, but unfortunately, spends way too much of that wealth on bad government, and the result is still pretty good, no matter what the little box says each night. The other country is far less wealthy, and spends much less on government, and it shows in lots of places. However, given what they do spend, Mexico’s smaller way of doing things works pretty good too. We have 1/3rd the population here in Mexico to that in the US and if we spent 1/3rd what the US spends on government here, my guess is I would be amazed. We don’t spend even nearly that and therefore do not have the money to shine and glitter, the way the US does in so many ways. However, we do okay, and the cost of government isn’t strangling us in the process. I guess somewhere in between might be the best, the prosperity of the US combined with the smaller, more frugal type of government we have here. “Quien sabe” as I so often hear people say here, or who knows! No matter, the highway is fixed and so is my pothole. Viva Mexico! 2 Responses to Good Government in Action. Viva Mexico! I so enjoy reading your blog!